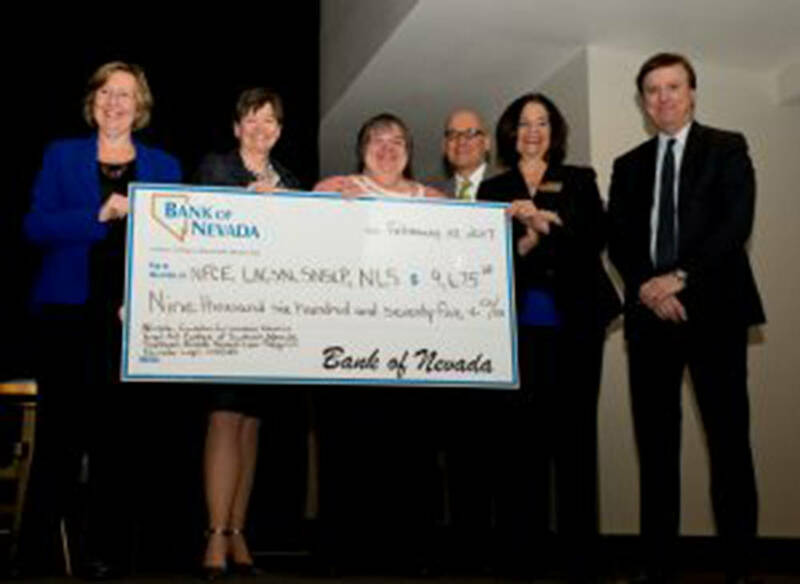 Bank of Nevada has donated $9,675 to four nonprofit organizations that provide free or reduced-cost legal services. The charities include the Nevada Foundation for Consumer Education, Legal Aid Center of Southern Nevada, Southern Nevada Senior Law Program and Nevada Legal Services. The funds will allow the agencies to continue providing legal services within the community. Many of the clients served by these organizations would otherwise be unable to afford legal services. The donation was presented by Bank of Nevada President Rachelle Crupi at a continuing legal education event in February. HELP of Southern Nevada will join the Las Vegas 51’s May 5 for a night of baseball and festivities. The evening will feature a special tennis ball toss fundraiser, prizes and a post-game fireworks display. For every $11 ticket sold, $3 will be donated to HELP of Southern Nevada, which provides assistance to low-income families, homeless teens and adults to become more self-sufficient through direct services, training and referrals. 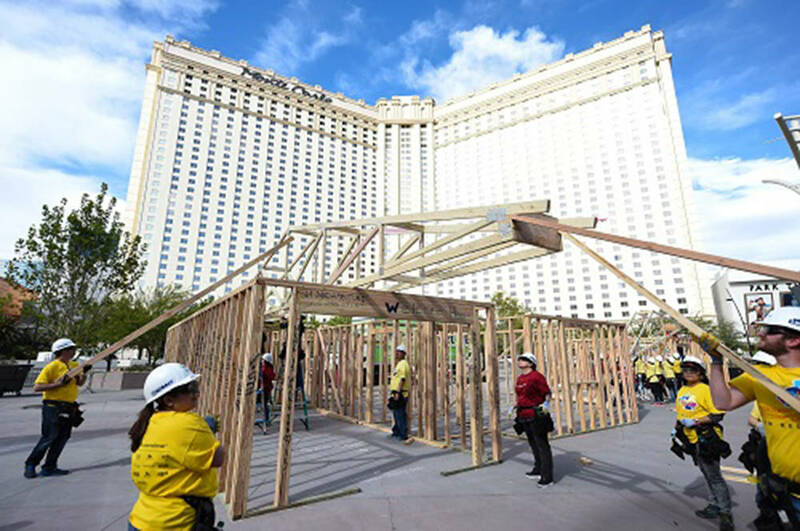 Las Vegas Sands Corp. has introduced the Sands Cares Accelerator Program, a community partnership endeavor that encourages investment in growing nonprofit organizations that have the potential to impact the local community with the gift of additional resources and nurturing from a major corporate partner. The Marty Hennessy Inspiring Children Foundation has been named the first member of the Sands Cares Accelerator program. Founded 15 years ago, the Marty Hennessy Inspiring Children Foundation takes at-risk youth off the streets and into greatness by providing them with life-changing opportunities. HELP of Southern Nevada has partnered with Whole Foods Market to collect bottled water from June 1 through Aug. 31 for its annual “HELP20” campaign in an effort to protect homeless residents from the dangers associated with the Las Vegas summer heat. Those looking to donate can do so at all Las Vegas and Henderson area Whole Food Market locations. Water donations can be purchased in-store or elsewhere and dropped off at a participating Whole Foods. The water will be collected and distributed to area homeless by HELP of Southern Nevada on a regular basis. To find the closest store, visit wholefoodsmarket.com/stores/list. Caesars Entertainment, Darin Feinstein venture capitalist and owner of Red Mercury Entertainment, and executive producer of “Britney: Piece of Me,” Larry Rudolph, launched “Rock the Night for The Shade Tree” on April 5. After months of planning and collaboration of all three entertainment entities, an impactful partnership was formed to offer an evening of support and inspiration for one of the Las Vegas charities closest to their hearts, The Shade Tree. The partners provided concert tickets, dinner at Fatburger, and private transportation for more than 300 residents, staff, board members and friends and family of the local shelter for women, children and their pets. “Rock the Night for The Shade Tree” hopes to grow with each year, offering new and different events and performances revolving around inspirational entertainment. Plans for 2018 dates and performances are already being discussed in an effort to tie together Las Vegas tour stops for visiting shows and additional Las Vegas celebrity headliners. The 13th annual Rock the Troops Poker Run produced by American Legion Paradise Post 149 took place in April to raise money for Nevada’s military and first responder community. Proceeds will benefit the American Legend Legacy Scholarship Fund, which provides money for college to any child who lost a parent in the war on terror since 9/11. This is Walker Furniture’s third year participating with American Legion Paradise Post 149 and second year as a stop for the Rock the Troops Poker Run. Dunkin’ Donuts Las Vegas franchisees showed its support for Nevada Childhood Cancer Foundation’s Camp Cartwheel in April with a paper icon drive. Guests were invited to donate $1 to the organization at any Dunkin’ Donuts location in Southern Nevada. In return, they received a paper icon where they could write their name and hang in the store to show their support. NCCF’s Camp Cartwheel is an outdoor three-night camp experience designed to help children with cancer or other critical illnesses, as well as their siblings, overcome the physical, mental and emotional obstacles posed by childhood disease. Dunkin’ Donuts has raised more than $26,000 to date for the organization, allowing it to send hundreds of children to Camp Cartwheel over the years. Jeffrey Fine of Jamba Juice has donated more than $13,300 to the St. Baldrick’s Foundation. It all started thanks to a conversation between two friends. Phil Ralston told Jeffrey Fine how much his fundraising efforts for the St. Baldrick’s Foundation, a nonprofit organization dedicated to raising money for childhood cancer research grants, meant to him. Ralston is this year’s top St. Baldrick’s fundraiser in Southern Nevada, and Fine is the owner of 23 Jamba Juice locations in Southern Nevada and Southern California. Fine decided to run a fundraiser in his Jamba Juice locations to raise money to be donated to Ralston’s St. Baldrick’s team total. Within a month, Jamba Juice was ready to go with green St. Baldrick’s cause bracelets for a donation of $1 or more. Over the course of three weeks, participating stores raised $13,311 to bring Ralston’s 2017 fundraising total to $43,809. Ralston and his team, Bald by Design, have raised more than $600,000 in the past 10 years. 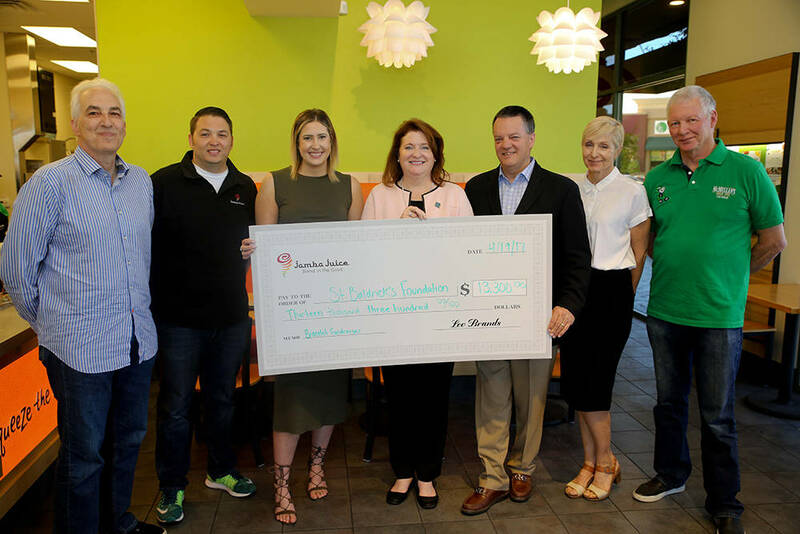 The check was presented to the St. Baldrick’s Foundation in April at the Jamba Juice Siena Promenade in Henderson.